I am very often asked what the secret or key is to getting published. 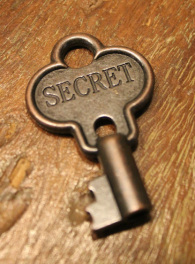 I don't have a secret or a key. Such a thing doesn't exist. If only it were that simple! But here are a few things that I think are essential for a writer to do. 1. Read. Should I write that in all caps? READ. This is the single most important preparation in order to become a writer. There is a saying that, "You must read a thousand books, before you can write one." This is absolutely true. Read widely. Read critically. And then reread. 2. Write. Sounds obvious I know, but a lot of people talk about writing, but never actually do it. You must be a doer. Great ideas are a dime a dozen. Everybody has them. Actual complete stories are rare. 4. Rewrite. Yep. Many times. Great stories are not written in one sweep. A complete first draft is a huge accomplishment. Huge. Congratulations. Few writers make it that far. But it is not the end of the process by a long shot. My books usually go through at least six drafts, sometimes more. Revision is where you get to make that rough lump of clay into something beautiful, but it takes time and patience. Don't jump the gun. You only get once chance at a first impression. Society of Children's Book Writers and Illustrators aka the SCBWI. - A great organization for writers. They have regional chapters all over the world and frequent conferences and abundant resources for writers just starting out. A must for new writers to learn the basic ins and outs and connect with other writers. Figment - This is a reading and writing community created especially for teen readers and writers. They have forums, contests, places to share your work, and much more. Teen Ink - Another site dedicated to teens who read and write. Lots of fabulous resources including a forum where teens can share their writing and get feedback. 6. Be Persistent. This is the single-most consistent trait I have seen among published writers. They didn't give up. Neither should you. Your first book may not get published (mine wasn't) and your second and third books may not either. Those are not wasted stories. They are part of your learning process, if you allow yourself to become your own best critic and learn from them. Don't keep making the same mistakes over and over again. Learn, grow, and try again. 7. Read. I said that already? It bears repeating. Read. I also talk a lot about writing on my Instagram page. Check out my Profile Highlights for past answered questions. I will add to the above list as often as I can. There are always new resources out there for writers. Check back! And if you know of any great articles or resources related to writing, let me know!